Tamron Co. Ltd., Japan, has won TIPA Award for third year in a row. Grabbing this prestigious award for three consecutive years is a pride factor for both – the manufacturing company, and the product owners who bought and enjoy these high quality and best performing precision optics products. Two of the lenses of their product range have been awarded with this prestigious and global TIPA Awards 2016. The two lenses are – SP 35mm F/1.8 Di VC USD (Model F012) that wins Best DSLR Prime Lens, and 18-200mm F/3.5-6.3 Di II VC (Model B018) winning Best Entry Level DSLR Lens. Shiro Ajisaka, President & CEO, Tamron Co. Ltd., and all the employees of the organization must be feeling very proud for achieving this feat for three consecutive years. 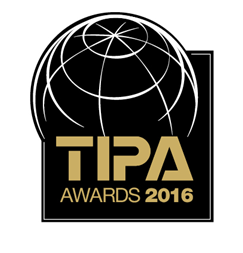 The prestigious TIPA Awards 2016 has been hosted by TIPA (Technical Image Press Association). These are globally acclaimed awards as the most influential photo and imaging product awards in the industry. TIPA has a global membership of photo in imaging magazines from 16 countries across five continents. Every year the editors of TIPA's member magazines meet and vote for the best photo and imaging product in each category. 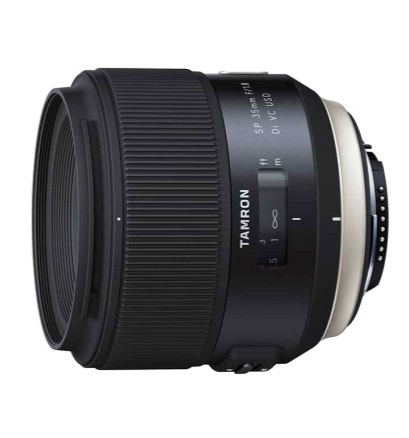 Tamron's philosophy is “New Eyes for Industry” and they ensure stringent quality measures are met to adhere to it. The company is widely known and accepted as a manufacturer of a large range of original optical products ranging from interchangeable lenses for SLR cameras to different optical devices for OEM and end consumers. Their optical products are consumed in various industries. These products are an example of rich creativity, high quality standards, and leading edge technical prowess to different industrial segments. The product range includes interchangeable lenses for SLR cameras, video camera lenses, digital camera lenses, lenses for automotive applications, lenses for long wavelength infrared cameras, ultra precision optical components, IP and CCTV lenses, and a lot more.